sister, daughter and friend and my mission is to help women find joy and encouragement in all their roles, too. I’d love to know about you. You can reach out to me here. 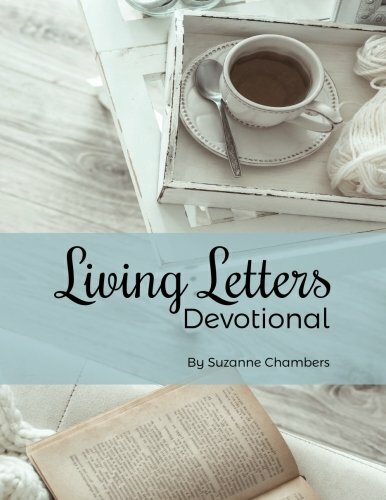 Living Letters lives both as a (mostly) weekly blog and a daily, year-long devotional book- now available on Amazon. "You are our letter, written in our hearts, known and read by all men, being manifested that you are a letter of Christ, cared for by us, written not with ink but with the Spirit of the living God, not on tablets of stone, but on tablets of human hearts"
Thank you for Subscribing to the Living Letters blog- God Bless! God gives us two offensive weapons to wield in our battles – His Word and prayer. This is a compilation of a month’s worth of Divine ammunition to use for yourself and your family. I pray them daily, repeating them each month. An in depth look at God’s plan for the Ages, from Eternity Past to Eternity Future. This study links the amazing Truths of Eternity to practical, daily living. Once confronted with the timeless Truths of His plan, your life cannot remain the same. Life as a Christian is definitely not a bed of roses – instead it is a war! But we need not fear the battle because God has provided us what we need to win. This study shows us who the enemy is (and sometimes it is our very own selves!) and how to fight to victory. Click to discover our personal collection of family recipes for all occasions. Enjoy & share with those you love!